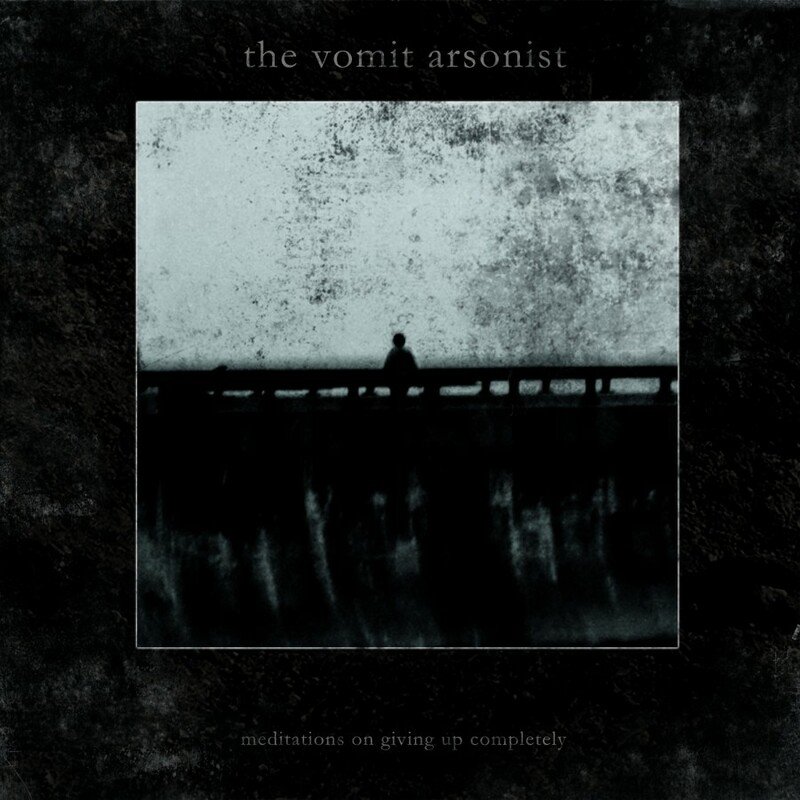 Death industrial powerhouse, The Vomit Arsonist, is back with another album on Malignant Records which is sure to invoke revulsion and terror. The Vomit Arsonist has been through many phases and progressions as an artist over the last decade. Yet, one thing always holds true, his sense of loathing and abhorrence toward the modern world. This seems to hold especially true for his latest Malignant release. Owner of Danvers State Recordings, Andy Grant knows what he wants out of music, and he knows how to bring his visions to reality. Grant’s own label focuses on cassette releases, one of which was previously reviewed here; Pulsed in a Dull Glass Bell, a harsher project by R.C. Kozletsky which falls somewhere between Apocryphos and Shock Frontier. Meditations on Giving up Completely is quite possibly the best work to date by The Vomit Arsonist, bringing forth all the forms of aural assault that Grant has honed over the years. The result is close to perfection of the death industrial sound. On Meditations, The Vomit Arsonist has finally gone too far in the sense of mental stability. It could be the case that Meditations is only meant as a representation of the mind of the author but it does seem to speak on a grander scale. The album seems as if his thought process has moved from individual despair to a loathing and invocation of an impending doom for the entire planet. Always one to appreciate nihilism, The Vomit Arsonist writhes and seethes within an apocalyptic vision of total death and destruction, the final chapter for the entirety of Earth’s inhabitants. If The Vomit Arsonist found and learned to live with himself on Only Red, Meditations could be seen as the first studio album where Andy Grant is able to totally and unquestioningly be himself. Meditations is that moment when an artist is in full control, knows what they want and delivers it without ever skipping a beat. While his career has been rather long, and quite illustrious, Meditations may be the masterpiece, the total acceptance of himself and his capabilities. Meditations has a cinematic edge which flows through it. One gets the idea that Grant sees himself as a bystander in the final war, taking cover in the basement as the world tears itself to pieces just outside his door. Yet at the same time, it’s also easy to imagine him as taking to the frontline in this battle. His vocals shouting orders to his followers as an apocalyptic destruction ensues. This dichotomy could be intentional or subliminal, he could be characterizing the views of two seperate people, or showing his own mixed emotions with regards to fighting an internal or external battle. The digipak, released through Malignant Records is quite the high quality release. A glossy black and gray finish displays a distorted image, which appears to be a man either standing on a bridge or a dam. The thoughts in his head can be deduced from the album content. According to Grant, there will be a cassette extension of Meditations released on Smrt Productions in the near future. After hearing the entirety of Meditations on Giving up Completely on multiple playthroughs, I’m sure readers will be as eager to hear some extra material as I am. The Vomit Arsonist should find the acceptance of many varied listener bases with this release. For death industrial fans, there is everything to love about this sonic assault. 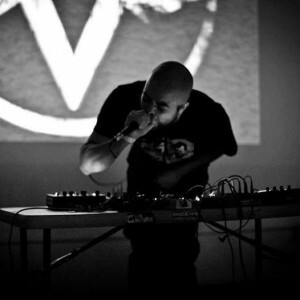 There is very little downtime and from the vocals to the booming bass The Vomit Arsonist delivers with perfection. 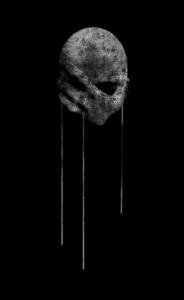 Dark ambient fans of the strictest sense will find Meditations to be a bit overwhelming and a bit too loud, but those on the periphery who love blending of styles and a harsher edge to their soundscapes will welcome Meditations happily. Even moving into the power electronics and industrial scenes, Meditations should hold its own, standing up to the greatest of critiques. Realizing himself, honestly, over the last few years, The Vomit Arsonist has no scruples with doubling down on his style. This is where he feels he belongs, and it really shows on Meditations. Everything done previously by this artist seems to come to a head on Meditations. Listeners should immediately recognize the intensity of the release, an intensity which rarely is diminished through the entirety of the album. I would highly recommend Meditations on Giving up Completely to any readers of This Is Darkness who don’t mind a bit of extra heavy distortion and apocalyptic martial vocal tones. If Meditations is the soundtrack to the end, then we are in for a hell of a climax.